Typically I go out about an hour and a half before sunset and then stay on site until the sun actually sets. (The “Magic Hour”!) 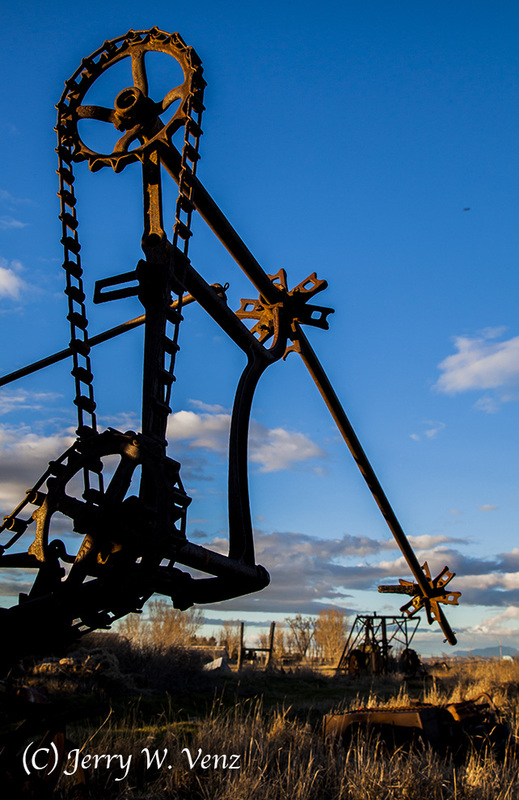 The setting sun is truly magic when it plays across rusting metal. As a special reminder to my fellow outdoor photogs doing this kind of photography—always watch your back when on location towards sunset! 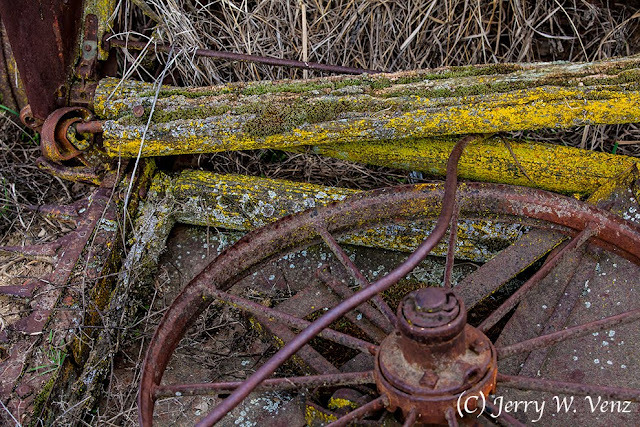 I was so engrossed with these great pieces of farm machinery that I almost missed this scene behind me! 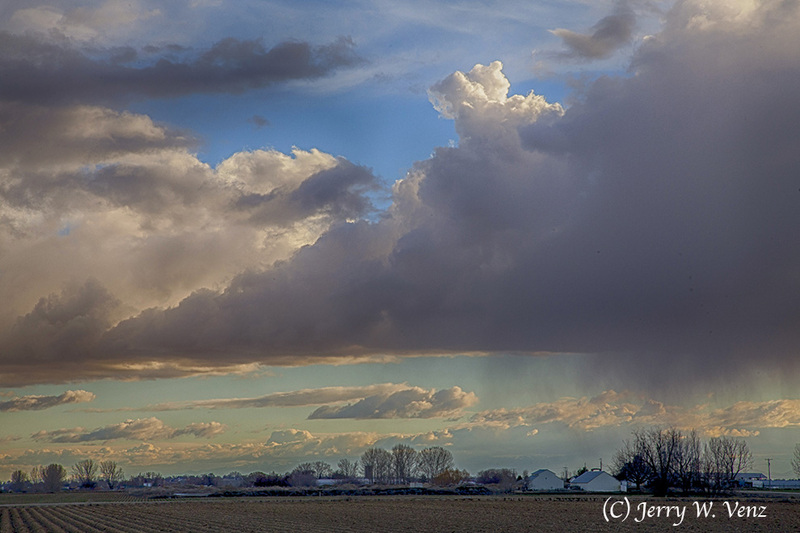 Classic Idaho farm country, a terrific cloudscape, and rain as well! This spot is only 15 minutes from my home in the suburbs of Meridian. 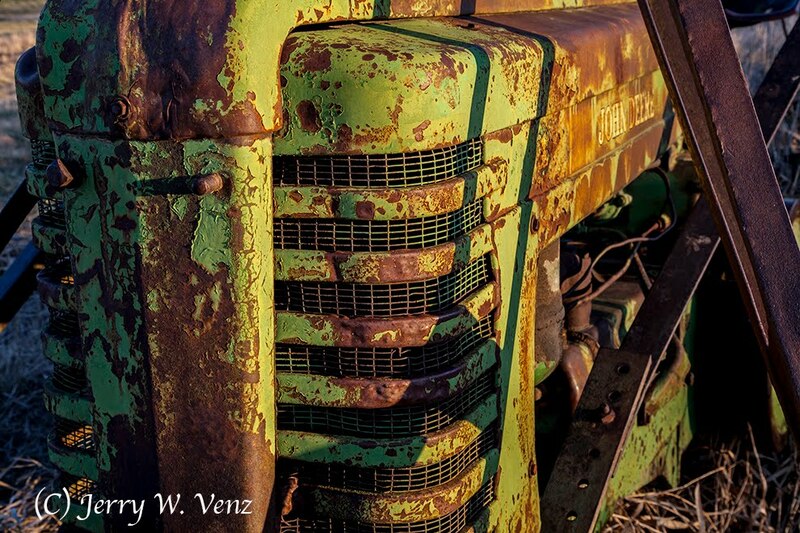 Anyway, back to the farm equipment basking in that setting sun…. 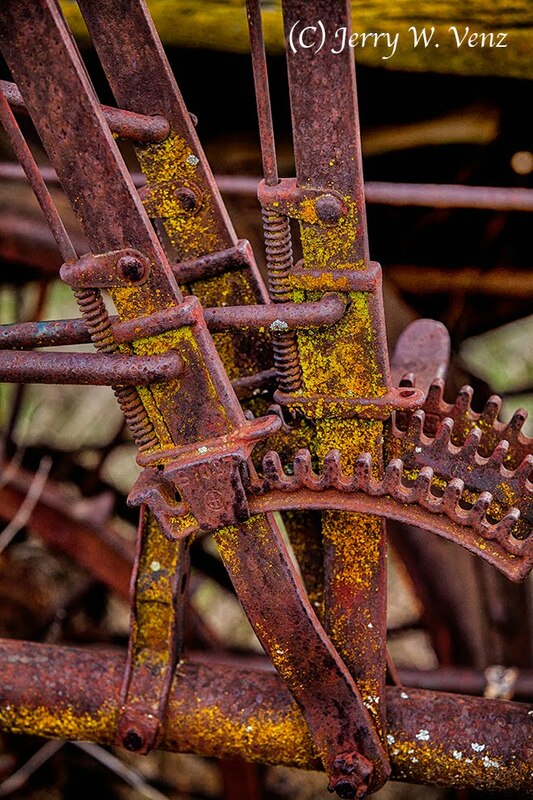 These were the controls on some kind of harvesting equipment. Again, lots of rust and that colorful lichen; didn’t know lichen could live on metal or rust? Anyway, still having fun in Idaho…can’t wait until fall and then Winter! GOING IN CLOSE; MACRO PHOTOGRAPHY REVEALS MORE!